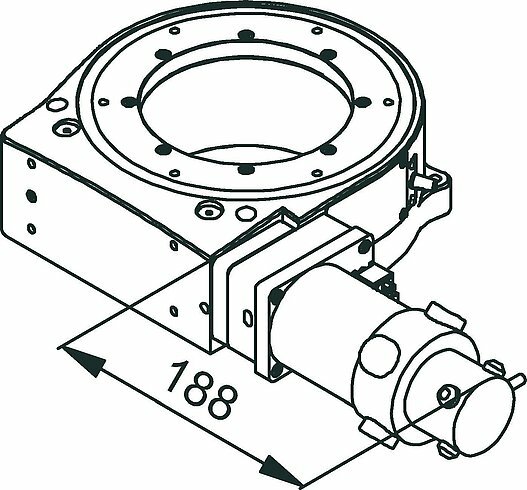 Worm drive with high gear ratio for precision positioning. 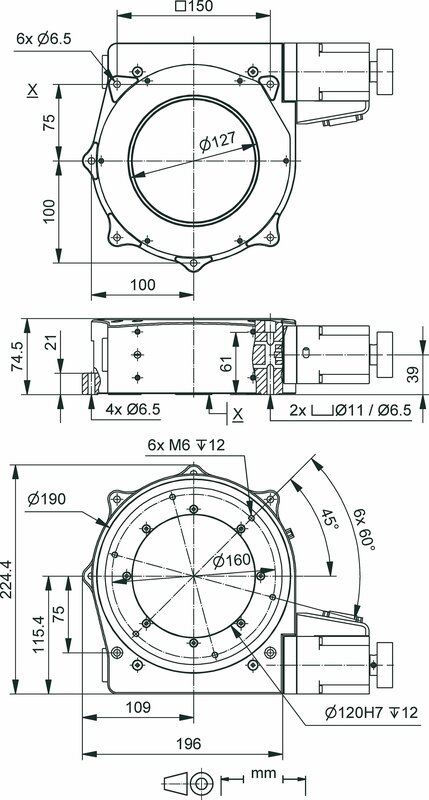 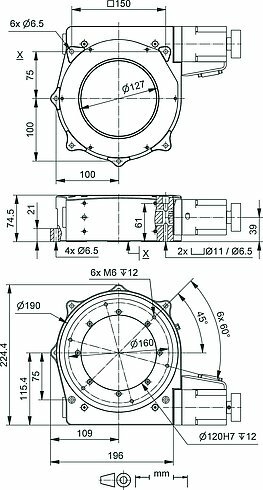 Excellent flatness and concentricity due to preloaded crossed roller bearings. Large aperture with 120 mm Ø. Two adjustable limit switches. 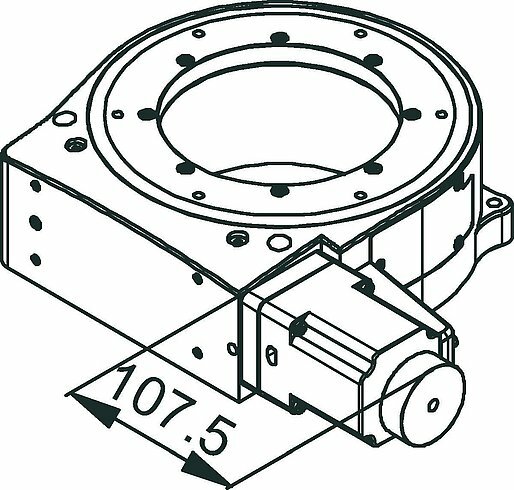 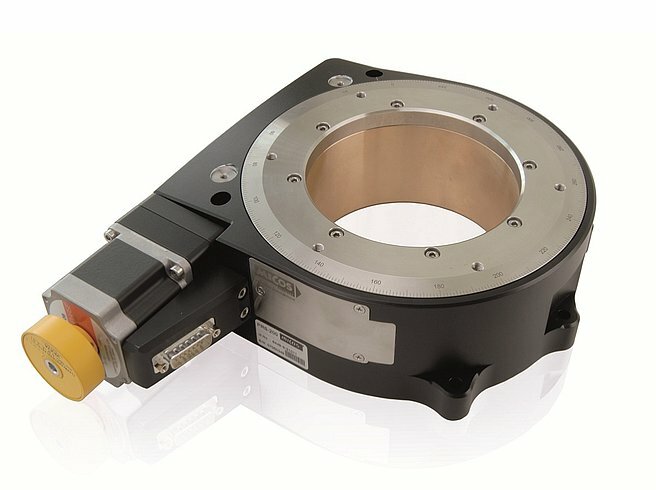 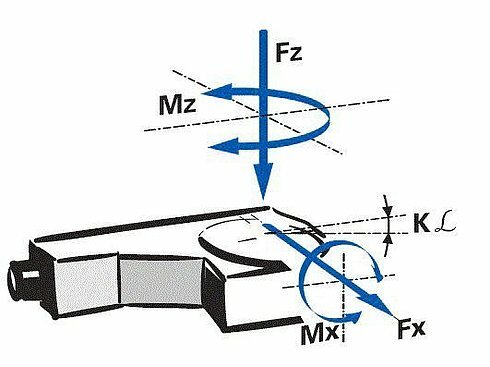 Individual measurement logs available on request for wobble, axial, and radial creep. Please specify when ordering.